Allow me to clearly paint this picture, because some liberals seem a little slow on the uptake. 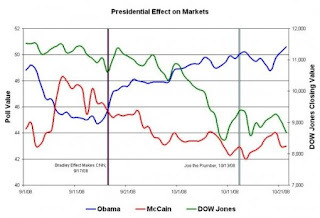 When Obama went up in the opinion polls during the election, the stock market suffered, and vise versa. The day after Obama was elected, we experienced the largest post-election sell-off ever. The Period between Obama's election and his inauguration was the worst lame-duck period of stock market losses in recorded history, and on January 20, the markets took their worst ever inauguration day drop. Yesterday, as Obama's Porkulous package passed the Senate and Geithner announced his plan to spend yet another trillian dollars of tax payer money, U.S. stocks plunged, the large-cap benchmark S&P 500 fell nearly 5%, the Dow industrials dropped below the 8,000 mark and the S&P Diversified Banks index fell to nearly 14%. Naturally, the MSM has kicked in to high gear in defense of "The One," suggesting, as MSNBC's "tingle up my leg" Chris Matthews and the Washington Post's Steven Pearlstein did, that the stock markets aren't a good indicator of how bad the Obama adminsitration's economic plans really are. Clearly, these aren't the droids you're looking for. Look ladies and gents, for those who regularly skipped their high school economics classes, allow me to explain what the stock market actually is. The stock market is where people and companies trade shares (stocks) of businesses. The value of the share (stock) is relative to the profit, value and success of its business. When the markets take a dive, as they have been doing since January of 2007 after the Democrats took control of Congress, it means companies aren't profiting - they're regressing. If companies aren't profiting, they aren't growing. More depressingly, when companies shrink, they cut spending (to include jobs and new hires). 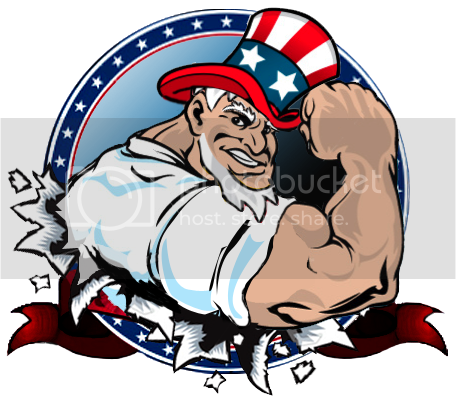 For you liberals who are looking at this and scratching your heads (I know how much you disdain facts, stats, figures and historical context), allow me to break this into the simplest of terms: When the stock market goes down, unemployment goes up; when the stock market goes up, employment goes up. That's what we call a direct relationship. People need to see media personalities like Mr. Pearlstein and Mr. Chris (Tingle) Matthews as the Obama press secretaries they are. They will literally say anything to shelter Obama from criticism. Let's not forget, Matthews openly admitied, "I want to do everything I can to make this thing work, this new presidency work." What is he doing now, but manipulating public opinion to help "this new presidency work?" He's an overrated publicist for the Obama administration, and anyone who takes him seriously needs to put the Kool-Aid down and take the first train out of Jonestown. People also need to stop buying the line that this current economic recession was caused by "Eight years of the same, failed economic policies of the Bush administration." As I clearly showed above, the markets and unemployment didn't take a dive until the democrats took over Congress in January, 2007. Perhaps people should stop trying to peg Bush (who presided over the highest GDP, and lowest average unemployment rate in American history) with the blame of this recession, and start considering the very real possibility that the tax-and-spend democrats are the ones who have turned this mess into what it is. That's not to say the recession is all to blame on modern Democrats; certainly, the CRA, Clinton administration deregulation of the housing market and the toll of two major wars on terrorism share some of the blame. But that doesn't change the fact that this Democratic triumvirate is accelerating market losses. Every time they open their mouths about the economy, the market dies a little more and additional job loss inevitably follows. I loved your points, I have also noticed that same things you mentioned. I loved your article, keep up the good work.